There is literally nothing worse than spending time doing your makeup and achieving a beautiful look…only to have it melt off four hours later. I’ve recently started using a primer and I’ve been quite impressed with it-I’m not usually one to use a primer because I thought they were only for oily skins, and that was a big mistake! 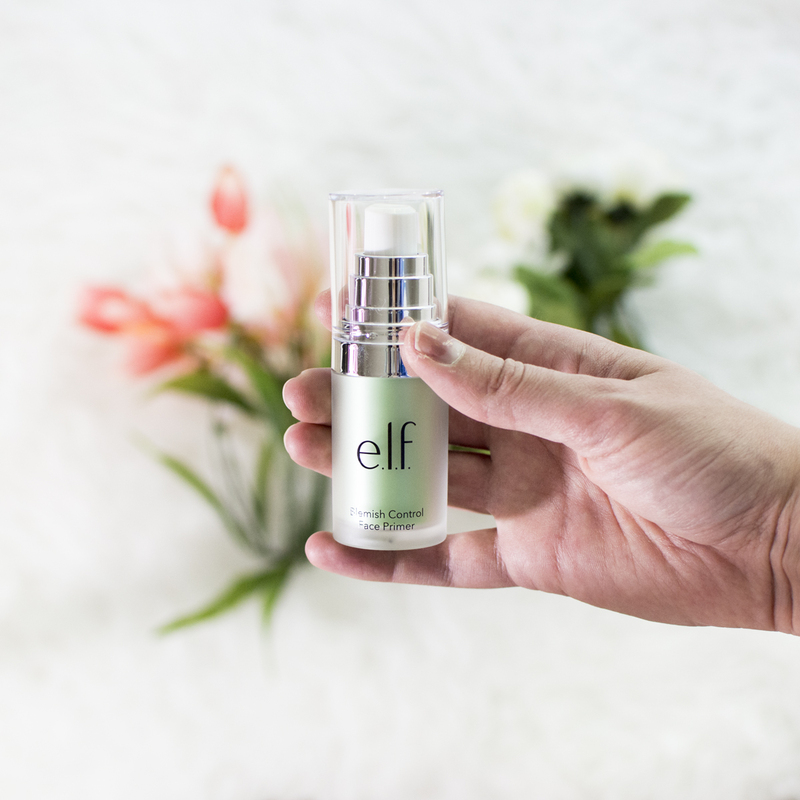 My current favorite is elf Blemish Control Primer which you can grab for just $6 at the store – if you’re not familiar with elf, or “eyes, lips, face”, they’re easily one of my favorite drugstore brands because their products are reasonably priced and I genuinely enjoy the quality of a lot of their products (and no, this is not a sponsored post!). 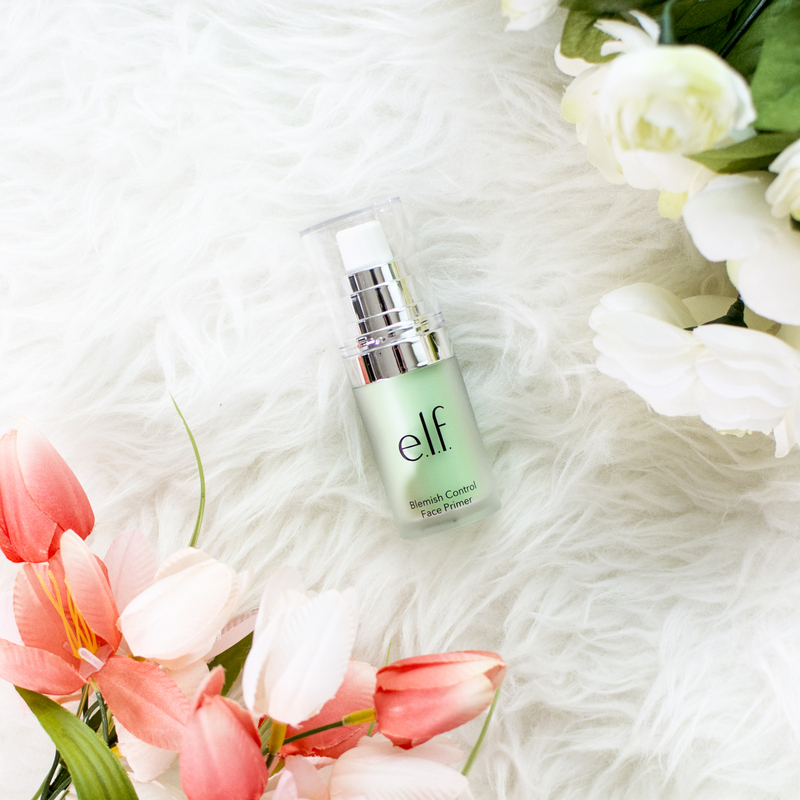 What does the elf Blemish Control Primer do? There’s a wide range of primers available, I just happen to like the elf Blemish Control Primer which has ingredients like Salicylic Acid, Vitamin E, and Tea Tree Oil to help fight breakouts. How often do I use a blemish control primer? 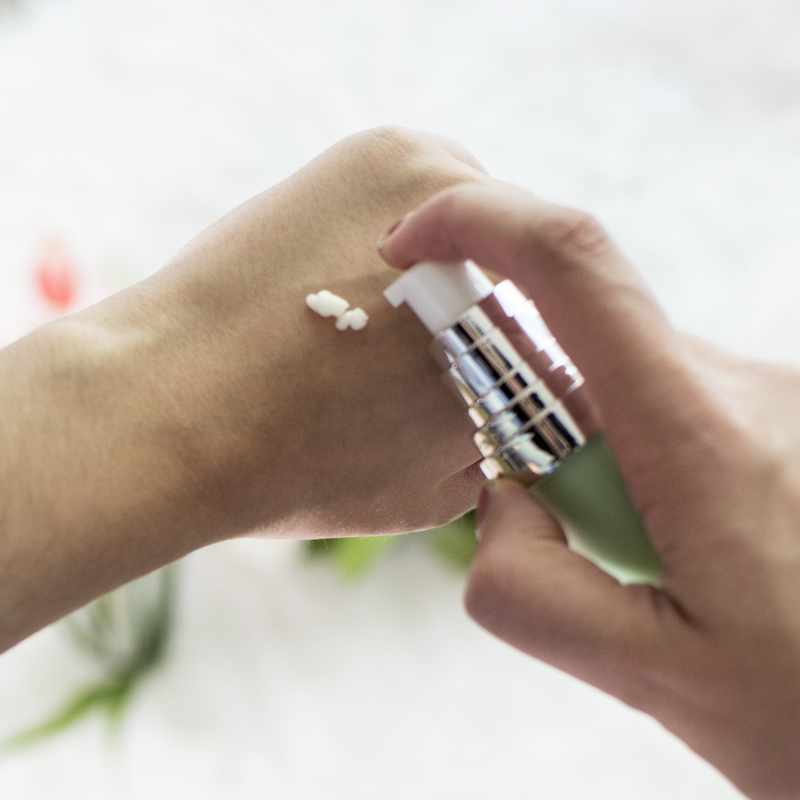 Anytime you use any beauty product with Salicylic Acid, be sure to use a highly-moisturizing night cream at night to keep your skin healthy. All in all, this is a staple in my beauty bag. I love that it’s budget-friendly, helps to control my little breakouts here and there, and that it has a pump for packaging! Interested in reading more reviews of my favorite drugstore brand? Click here to check out my elf review archives! I’m currently on the hunt for a face primer that is aimed at blemish controlling and this sounds like a must-try! As well as it being super affordable, great review. A Thing of Beauty is BACK + A Giveaway!